This species is accepted, and its native range is NW. Kenya, S. Mozambique to S. Africa. Densely branched shrub or small tree 2–4 m high, branches brittle with jointed nodes; bark smooth, shiny, the twigs reddish-brown, older wood grey. Leaves broadly obovate, glossy, very juicy, 1–2.5 cm long, 8–15 mm wide, rounded, sometimes apiculate, cuneate to a brief petiole. Inflorescences terminal and axillary on the upper branchlets; flowers small, starry, produced in profusion, in fascicles racemosely arranged on an axis 3–7 cm long; pedicels slender, 2.5–5 mm long. Sepals crescent-shaped, membranous, becoming rigid, 0.5–0.8 mm long; petals pale rosy-pink or mauve, narrowly obovate-oblong, slightly hooded, ± 2 mm long, subpersistent; stamens slightly longer than the petals, the filaments broadened downwards; ovary ellipsoid. Fruit ellipsoid, 5 mm long, 3-angled, winged on the angles, translucent, glossy, pink, pendant. Seed tear-shaped, 2 mm long, a narrow bilobed aril at the base. Dyer in Fl. Pl. Afr. 45: t. 1763 (1978). K.C. 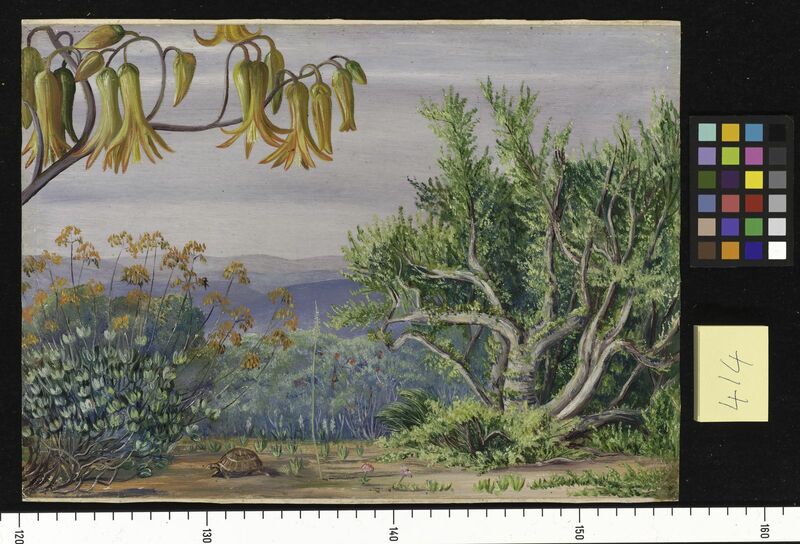 Palgrave, Trees S. Africa: 162 (1977). Jacq., Coll. Bot.. 1: 160, t. 22 (1786).